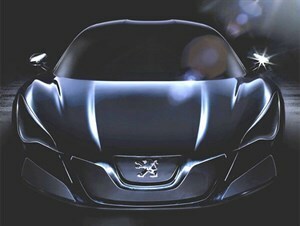 These shady images are the first teaser from Peugeot, hinting at a new RC-style concept car for reveal at the manufacturer's home town motor show (ie. 908 RC from 2006 Paris Motor Show). 1 / 6 These shady images are the first teaser from Peugeot, hinting at a new RC-style concept car for reveal at the manufacturer's home town motor show (ie. 908 RC from 2006 Paris Motor Show).